Available for the first time in .45 AUTO, Smith & Wesson's M&P45 Shield features a one-inch profile and an 18-degree grip angle. Smith & Wesson’s M&P series is one of the most popular handgun lines on the market, so an expansion of the line only makes sense. The company is now offering its popular M&P Shield pistol in .45 AUTO. Smith & Wesson’s M&P45 Shield is a slim, concealable, lightweight, striker-fired polymer pistol. From its one-inch profile to its optimized 18-degree grip angle, the M&P45 Shield offers professional-grade features that provide consumers and professionals with reliable performance and simple operation in a concealed carry. 45 AUTO firearm. 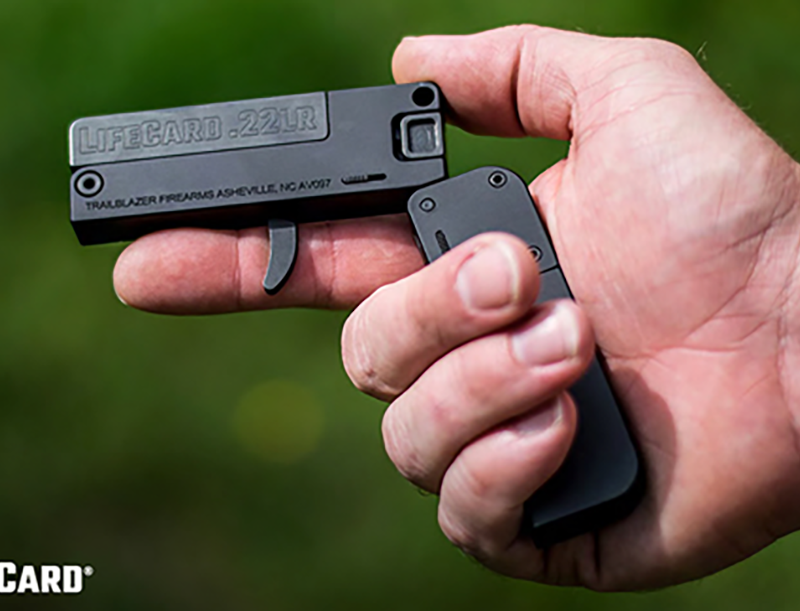 Whether deployed as a backup sidearm for law enforcement personnel, a deep concealment pistol for plain-clothes officers or a personal protection firearm for consumers, the M&P45 Shield can be carried comfortably and confidently, all day. Available for the first time in .45 AUTO, the M&P45 Shield features a slim design combined with the proven and trusted features found in the M&P Pistol Series. At 6.45 inches long, the M&P45 Shield is standard with a 3.3 inch stainless-steel barrel. On the left side of the frame, the pistol is fitted with familiar operational controls including a simple takedown lever, flat profile slide stop, and magazine release. For optimal firearm control, the M&P45 Shield is standard with an 18-degree grip angle, aggressive grip texture and front cocking serrations. The pistol is available with or without a thumb safety, and an extended trigger guard allows for operation with or without gloves. The striker-fired M&P Shield is highly regarded for its crisp trigger and quick and audible reset. The M&P45 Shield model has an MSRP of $479 and is sold with a limited warranty and a lifetime service policy. For more information on the M&P45 Shield and other products from Smith & Wesson, please visit Smith-Wesson.com.